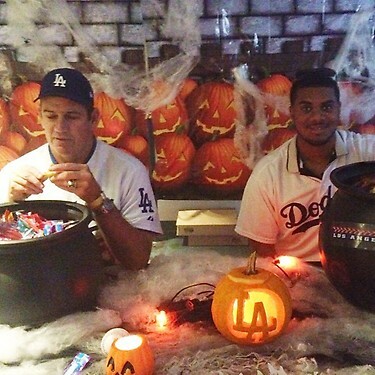 Kenley Jansen and Tim Leary passed out Halloween treats at the Treats-n-Suites Halloween Bash on Monday in the photo above. Pic via twitter @Dodgers. Happy Halloween everybody!!! BTW, be sure to go to Nick Punto's home for Halloween. He's giving out the good stuff. See what I mean via twitter @ShredderPunto. Details on the contract have yet to emerge, but Jim Bowden at ESPN tweets it's at about $7.1Mil per year. He had a great last month of the season, so in order for this deal to make sense he needs to continue pitching like that. When no news is news. No Dodgers win a Gold Glove this year. 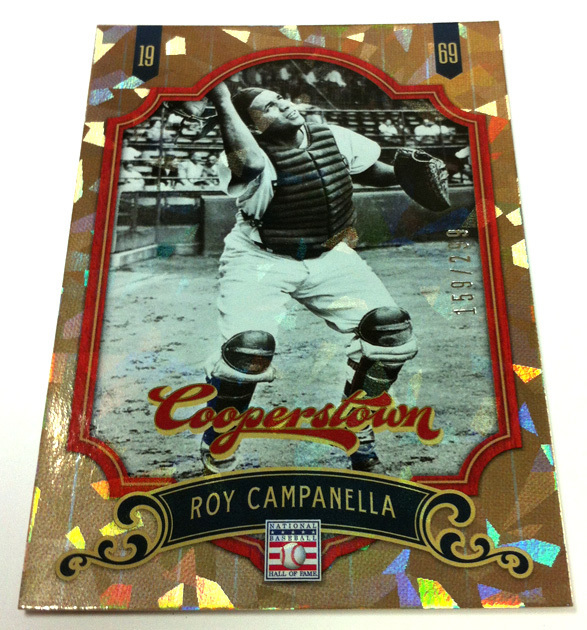 Panini's 2012 Cooperstown Baseball card set has officially been released and they shared some additional photos on their blog. Take a look at a Roy Campanella card on the left. Clayton Kershaw was on the Petros & Money show yesterday. Go here to listen to it. A Cooperstown ghost story, via Tom Wiles at Cooperstown Chatter. Samantha was very interested in a career minor leaguer named Edward Matt, who played from 1909-1913 for seven different minor league teams in the upper Midwest, including Traverse City, Mich., where Samantha and her family now live. But Ed Matt is not a distant relative, so why the interest? “Edward Matt is a ghost in our house,” Samantha wrote. You gotta love social media. San Francisco police allegedly arrest the man who was photographed busting up a bus front windshield during the Giants riots, via Kevin Kaduk at Big League Stew. Star Wars Episode 7 Official Trailer by NMA. 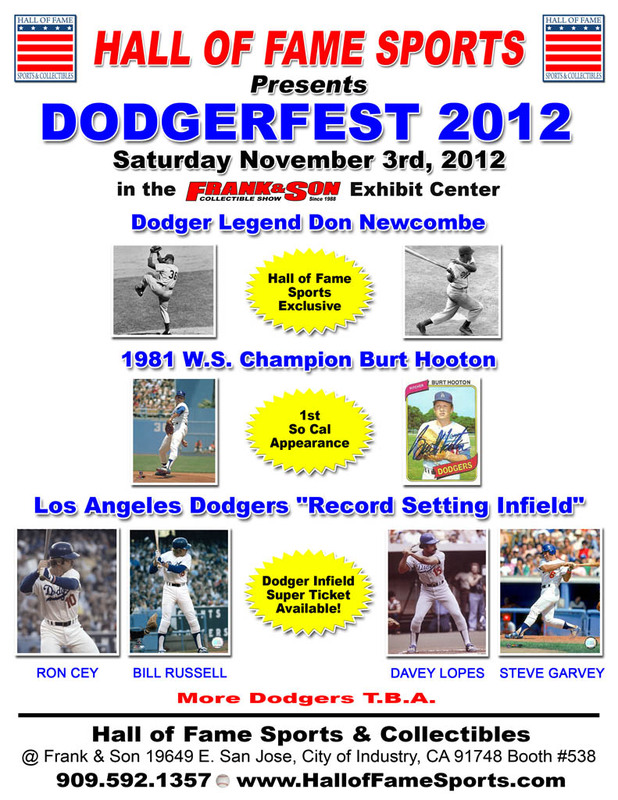 Weekend Autograph Opportunities: DodgersFest 2012!! 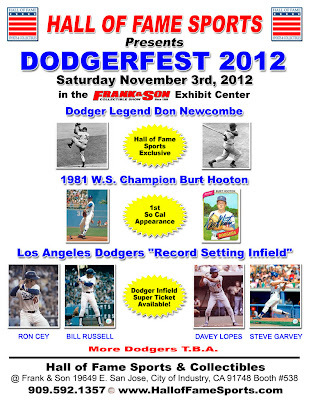 DodgersFest 2012! The big, end of the season, Dodgers themed autograph show is coming this Saturday to Frank & Sons in the City of Industry. 18 members of the Dodgers family will be there. This promises to be a great event. As always, admission is free. All times below are subject to change. I'll start it off by announcing that Magic Johnson will be signing that afternoon starting at 1:00 PM, and ending whenever the demand stops. You can also get autographs from the great Dodgers infield of the 70's- Garvey, Russell, Lopes and Cey. There is a Dodgers Infield Super Ticket available, as well. Details are below, or go here for more information. small - flat items up to and including 11x14: $99. medium - large flats, baseballs, minis (bats, helmets & mini basketballs) shoes, floor pieces, figurines & equipment: $119. large - bats, helmets, basketballs, jerseys & artwork: $149. inscriptions: $49. small: $25. medium: $30. large: $35. inscription: $10. small: $30. medium: $35. large: $40. inscription: $10. small: $35. medium: $40. large: $50. inscription: $10. balls and small flats up to & including 11x14: $99. large flats, minis, caps & equipment: $119. helmets, bats & jerseys: $139. small: $25. medium: $35. large: $45. inscription: $15. small: $29. medium: $39. large: $49. inscription: $15. small: $39. medium: $49. large: $59. inscription: $20. small: $39. medium: $49. large: $59. inscriptions: $20. small: $15. medium: $20. large: $25. inscription: $10. small: $49. medium: $59. large: $69. inscription: $20. small: $20. medium: $25. large: $35. inscription: $10. After 7 Dodgers seasons and 5 elbow surgeries he would sign a non-guaranteed contract with the Mariners for the 2012 season, but was released during Spring Training. Later on, he would sign a minor league contract with the Cubs in June of that year, but would again be released over a month later. Since then, Kuo appears to have disappeared. Oh, Hong-Chih Kuo where have you gone? Kuo was a warrior on the field for us, and I will never forget what he did for the team. I know he battled an anxiety disorder along with numerous elbow surgeries, so I hope his body and soul are doing well. 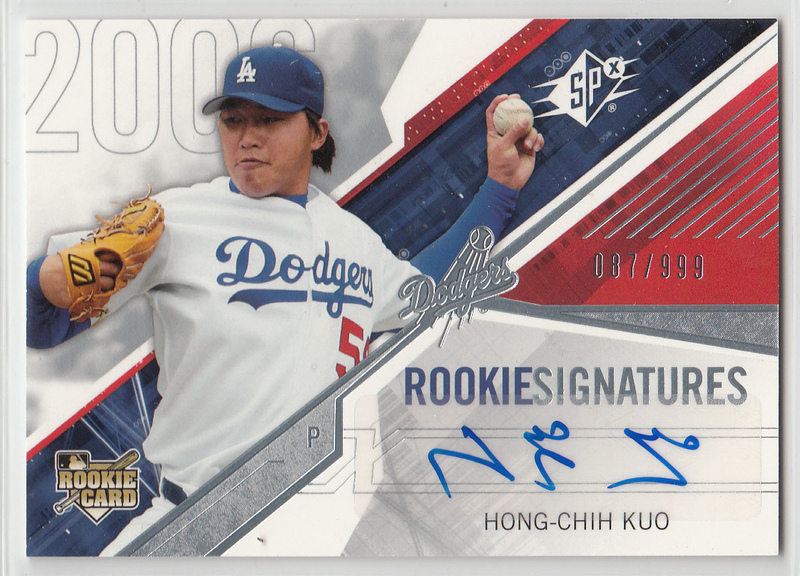 Featured here is a 2006 SPX Rookie Signatures card Hong-Chih Kuo in my collection. 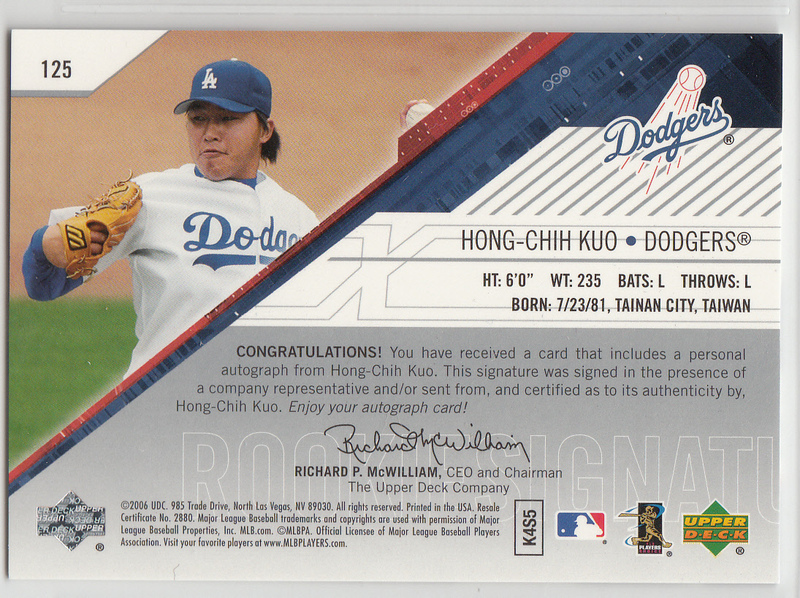 With winter here, I though it was time to scan and share some more Dodger cards from my collection. As I was looking through my binders I came across a small grouping of vintage T202 Dodgers cards, and was surprised when I looked that I had yet to share them on this blog.So, here they are. I love these old vintage tobacco cards. They have a great look and feel to them. They harken back to the days when Baseball was played in the afternoon and watching a game from afar meant standing on a street corner as a giant scoreboard displayed the days results. As Ty Cobb would say, Baseball was a war back then, and the ballplayers were the soldiers. Heck, check out the action B&W photos in center of the two cards above. Those infielders are covering the bag like they're the catcher. They are ready to put their shoulder into the runner. 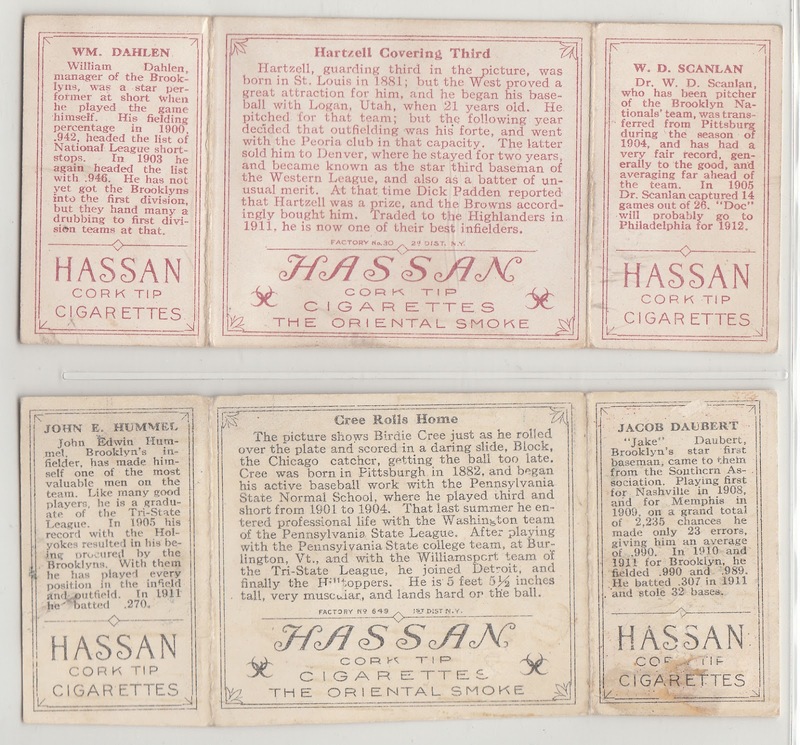 The T202 set was produced in 1912 and are commonly known as Hassan Triple Folders. The two end cards can fold over the B&W center panel like a little booklet. It measures 5 1/4" wide and 2 1/4" tall. 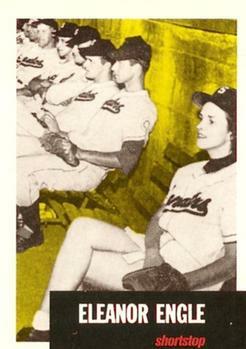 The top card above features Doc Scanlan and Bill Dahlen on the edges. While Yankees infielder Roy Hartzell is at the center trying to make a play on the runner - "Hartzell Covering Third". 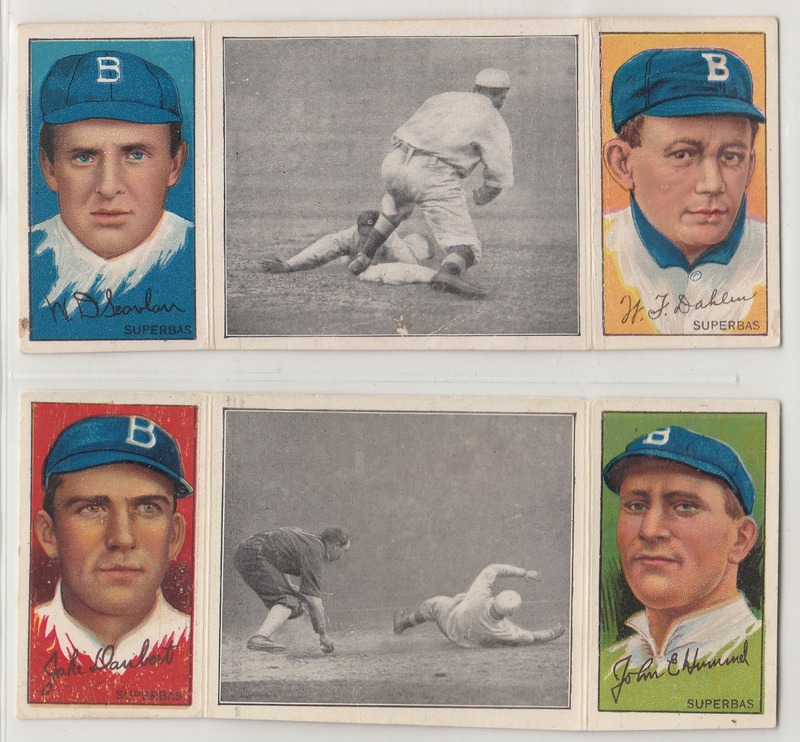 The bottom card shows Jake Daubert and John Hummel on the edges. Birdie Cree of the Yankees is in the B&W center photo scoring at home - "Cree Rolls Home". Below is a look at the reverse of the cards. As you can see, there are player biographies, as well as, an advertisement for Hassan cork tip cigarettes. Click on any pic to embiggen.